"Wedding & Events DJ / Live Singer / M.C. 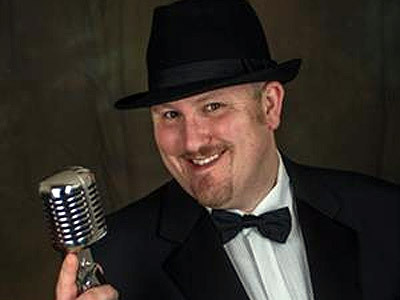 Service"
Jon Paul offers exceptional entertainment via a variety of packages which can be adapted to your ideas, venue and budget. 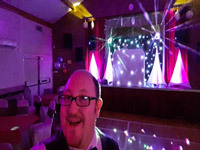 From a simple birthday disco through to a complete day or evening of quality DJing and live entertainment, Jon is always happy to advise you from his wealth of ideas and experience to tailor each event to YOU - your ideas and your style. Required by many venues, Jon Paul Entertainments has a current PLI policy with AMPband in the amount of £10 million. Also required by many venues, Jon Paul Entertainments has supplied satisfactory evidence of holding current PAT inspections of their equipment dated within the last 12 months. 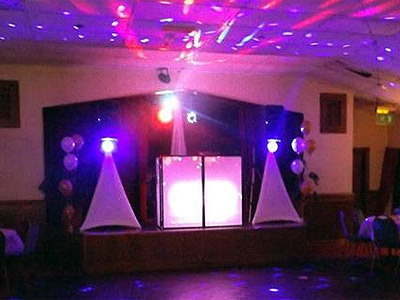 A Method Statement outlining Jon Paul Entertainments&apos; Health & Safety procedure for setting up disco equipment has been provided. Why do people choose to book Jon Paul Entertainments? Competitive price. Very professional correspondence. Like the idea of him entertaining our guests not just playing a few tracks. Friendly and professional with a entertainment package that seems suitable for our needs. "Jon was amazing, he has a superb voice, everyone commented on how good he was. Jon got everyone up dancing and joining in - singing and clapping. We had a superb evening and I wouldn't hesitate in recommending him. Many of my friends said they would used him if they had an occasion. Thank you Jon Paul." "Thank you for your lovely feedback. " 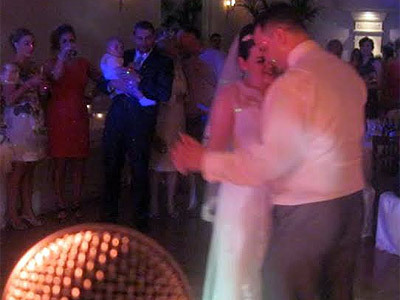 "It was a great night and the D J help make it so, well done Jon hope to see you again." "Thank you for your kind feedback - a real pleasure for me to entertain you." 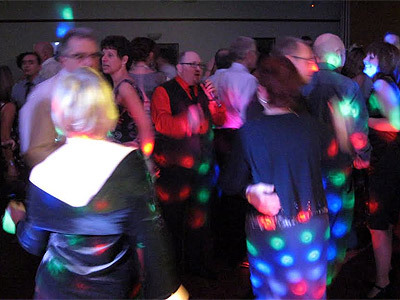 "Jon provided a fantastic disco, I danced all night and everyone enjoyed the disco and all had so much fun. Definitely a first class dj. Thanks Jon. " "Thank you for your booking and lovely comments, the whole event was a total pleasure from beginning to end. With best wishes to all... Take care and have fun! Jon Paul." "The close Liaison leading up to the event was very impressive. Jon Paul knew exactly what we wanted by the time event took place. He took on board all of our comments - he listened. His interaction with the guests was very professional and he was a very good MC around all aspects of the evening. We cannot fault any aspect of the preparation or the evening itself." "Many thanks for your fabulous feedback! Being a part of your amazing day was a real pleasure and privilege. Take care and have fun! Jon Paul "
"Friendly person who responded to all our requests and made for an enjoyable evening for our small group. Would invite him again whenever we are down there." "Thank you so much for these kind words! It was a lovely group to entertain and it would be a real pleasure to perform for you in the future! Take care and have fun! Jon Paul"
"Jon Paul was very helpful and took on board all our requirements when we met him a few weeks before our wedding. His song choice was perfect and his live sets were excellent. I would recommend him to friends and family"
"Thank you for your lovely comments and thank you for choosing me as your entertainer. With many congratulations & best wishes for the future...Take care and have fun! Jon Paul"
"Jon Paul was just great, made contact before and discussed our Party needs, played great music and was really helpful to our singer who performed on the night. Dance floor was full right until the end of the night. And he is a very nice person. Would recommend again. A BIG Thank you to Jon Paul x"
"Thank you for your kinds comments, it really was was pleasure. Hope to help you for any future events. :-) Take care and have fun, Jon Paul"
"Thanks to Jon Paul we haves brilliant Evening and would use again"
"Many thanks for your kind words and for choosing me to be a part of your special day." "John Paul was professional, friendly and courteous. His price was also very reasonable. A deposit wasn;t required as we paid in full but he explained all this when we ran over the final details over the phone. He communicated with me before the event and felt it was important he dressed accordingly to our venue. I had no concerns at all. He arrived on time, used our logo and the set up looked great. All music was a mixture of eras as requested and he played requests no problem. Announced all the awards and played relevant music for the winners. Would definitely reuse and recommend"
"Thank you for your lovely feedback - presenting & DJing your event was an absolute pleasure." "Really could not fault the service offered by Jon Paul, plenty of communication before the event, very proffesional on the night. 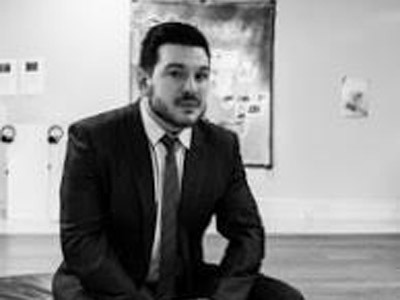 Would not hesitate in recommending Jon Paul in the future." "Very many thanks for your kind words. Planning around your superb (& eclectic!) music requests and then playing them at your fabulous party was an absolute pleasure for me. I truly hope to be able to entertain your delightful family & friends in the future. Take care and have fun....Jon Paul." "All went well and would recommend again"
"Thank you for your kind feedback: it was a real pleasure for me to help to entertain a lovely family & group of friends. Hope to hear from you again. :-)"
Jon Paul Entertainments also offers a range of additional party services not directly linked to musical entertainment. "Modern Party DJ & Kids' Entertainment Expert"
If you are contacting Jon Paul Entertainments about an event, it's always a good idea to include the DATE, LOCATION, EVENT TYPE, AGE GROUP and TIMINGS to speed things up!